I made my first sock monkey in late 2007, but the love affair started a little earlier than that. It was the middle of first semester at university; my friends and I were visiting the Queensland Art Gallery like good visual arts students. As we soaked up the creativity an unexpected new relationship suddenly crept up on me. I was in the bookshop when it happened. I came across a small book tucked away under another titled 'Sock Monkey Dreams'. The personality filled sock creatures instantly jumped out at me. I picked up the book and flicked through the pages to find even more button eyes and stuffed limbs dancing around the pages. I had to have it, the book, the monkey, the amazingly constructed imagery. Alas I was broke; I had foolishly spent the last of my money on an elaborate cupcake from the gallery café. I cursed myself as I now knew what I was giving up. We left. But this book, these socks, those faces, I needed to know more. When I returned home I Googled 'sock monkey'. My screen filled with sites and images dedicated to this glorious creature. Did you know they were first made during the Great Depression by mothers making toys for their children from old pairs of socks? Did you know that in America they are traditionally made out of Red Heel Socks due to the fact that the Rockford Sock Company was the first to produce a sock-knitting machine? For months I regurgitated fun facts to my friends. I started my own personal sock monkey library. 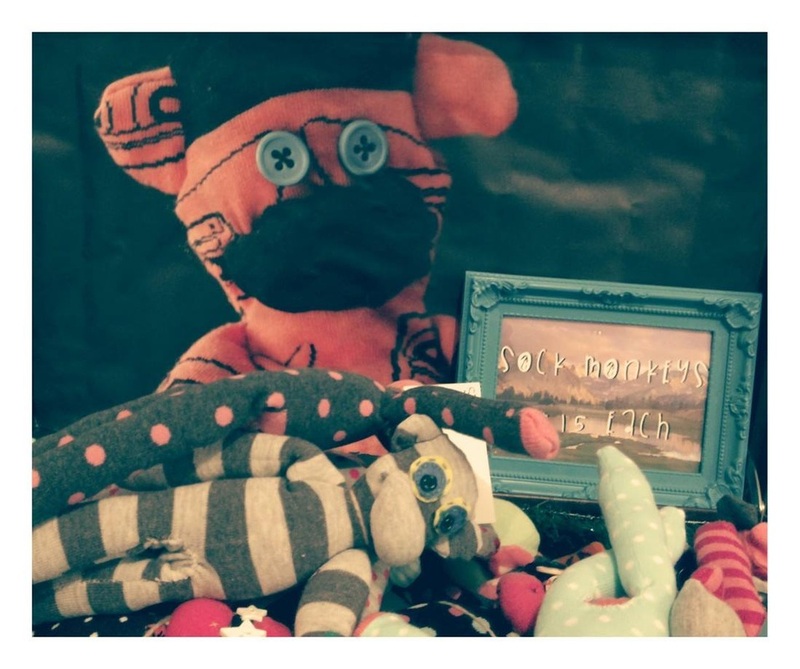 I printed patterns and photos and ordered a sock monkey from an American maker. I did not attempt however to make one. One thing that was standing in my way was my inability to actually sew. It eventually happened though, sometime in late 2007. I dug out the rattiest pair of socks I owned, more holes than sock. I found one of those small repair sewing kits and I ripped open a pillow for its stuffing. Following the instructions very carefully I began to cut the socks. I then threaded my needle and off I went. I feel my lack of sewing knowledge really shows in the fact that I attempted to create something using materials from a 'repair kit'. I had a very holey, very colourful poorly stitched together sock monkey. I was proud as punch. He had stuffing coming out of holes I did not have thread to repair with. He was amazing. So I made another. I became addicted quickly. I realized I needed hardware for this new love of mine. 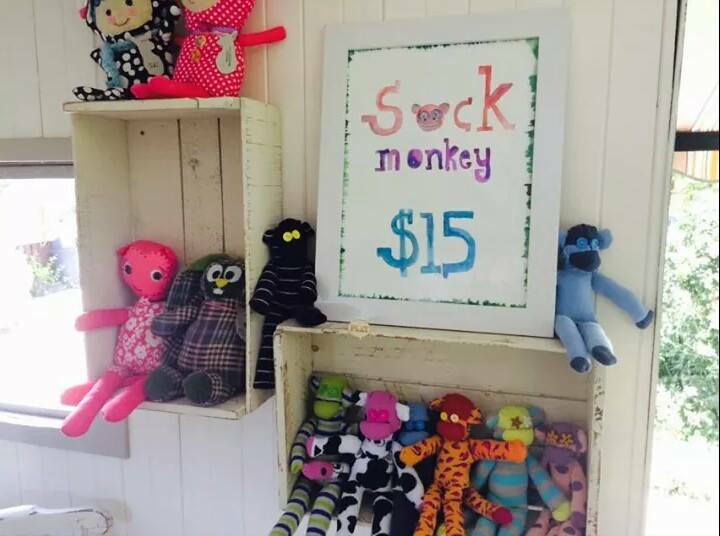 I began selling sock monkeys and with their profit I bought a sewing machine. I remember plugging it in and then looking blankly at the machine as I had no idea how to get the thread from the spool at the top to the needle at the bottom. Thanks again Google. 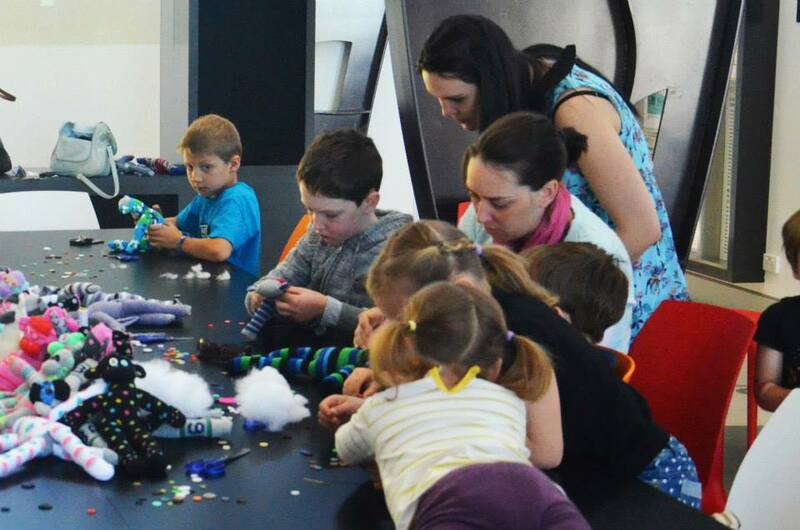 I was off and racing in no time I had made over 2,500 sock monkeys. Each of them I have sewn myself, half by machine and half by hand. In that time I have taught myself how to do embroidery which makes wonderful eyes. The sock monkey has taught me a lot, but they are still my favourite, my kindred spirit, my obsession and my passion. Available for Sock Monkey making workshops for children as young as 9 years old through to adults. Various styles of workshops available, email info@alexstalling.com to create a session suitable for you. 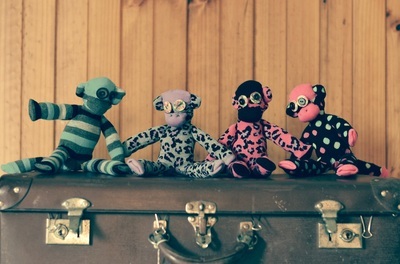 Sock Monkeys are found at various markets throughout the year. 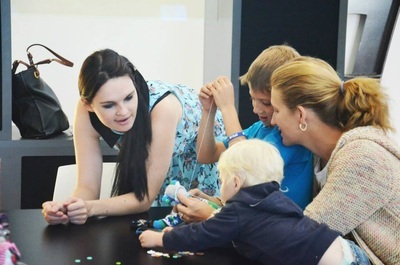 Sock Monkeys inspire young minds and bring a smile to regular gallery goers. 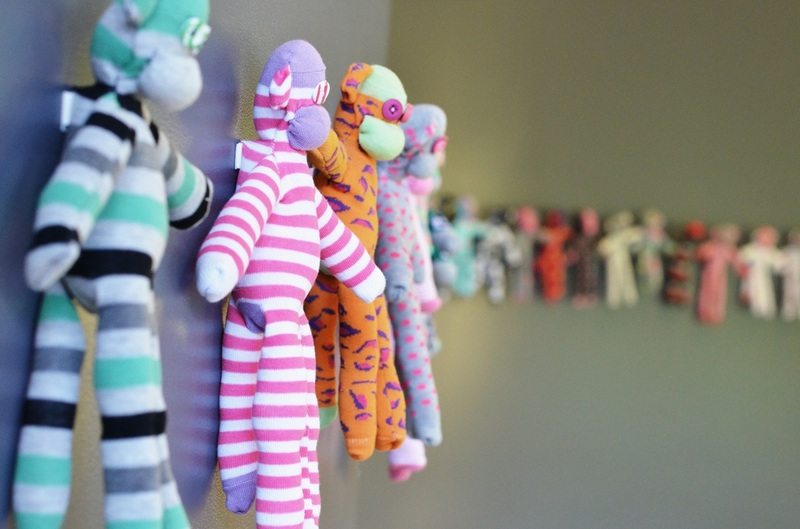 Would you like to stock handmade Sock Monkeys at your store? Wholesale and commission rates available.